How do I upgrade my survey plan? 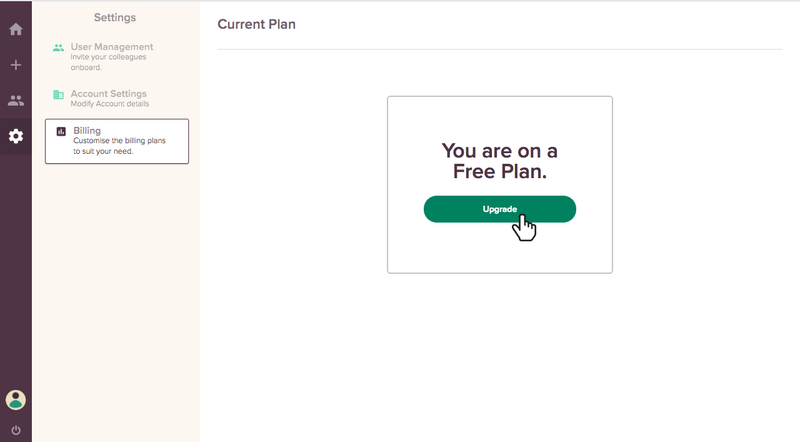 To upgrade your plan, click on account Settings icon from your home page. 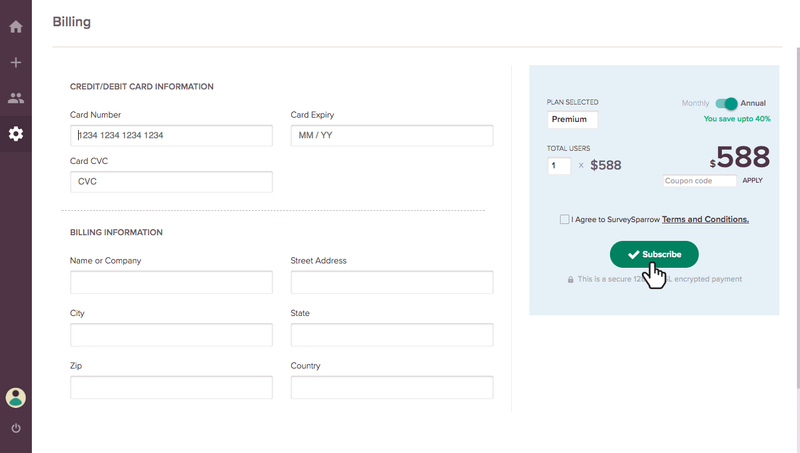 Now click on the billing tab under account settings, where you can see your current plan by default you will be under a free trial. 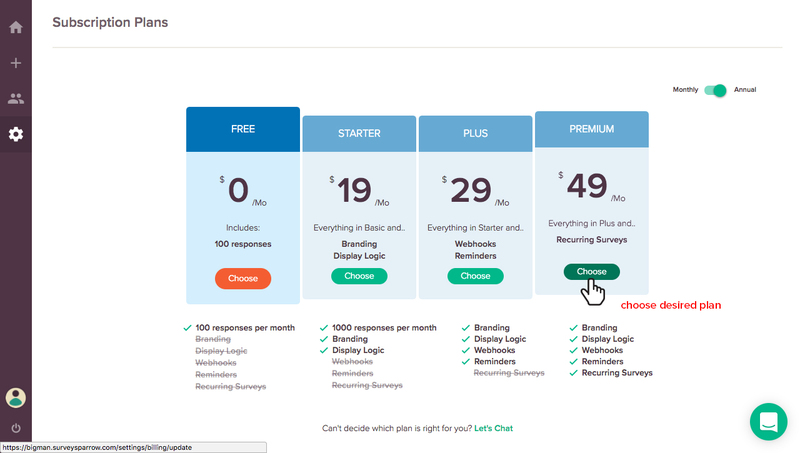 To upgrade or change your plan click on upgrade and choose the subscription plan you wish to use. Once you have selected the new plan, enter your card details and discount coupon if you have any and click on subscribe to make the payment and use your new plan.